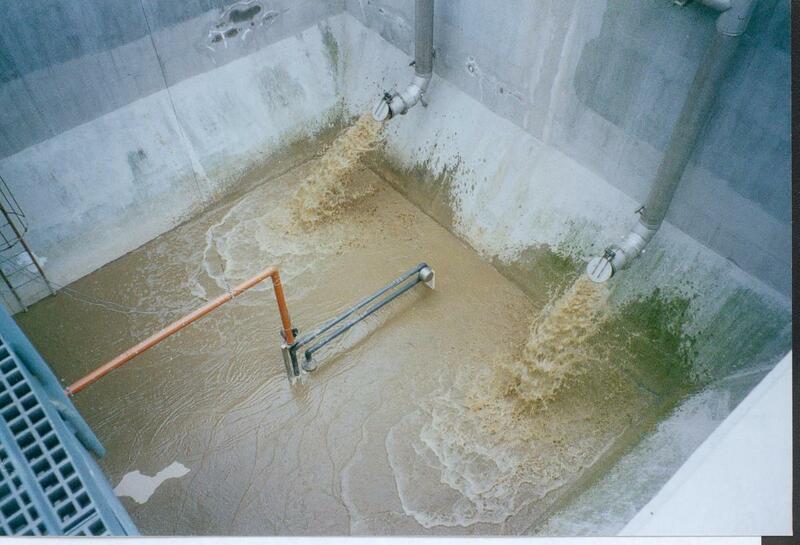 Sludge is usually sediment in square or round basins and is lifted by a pump. Since the area of the basin used to be several square meters, the sludge must be moved to the pump. Often it is done by different scrapes. Scrapes are usually big machines, which are expensive in purchasing and need lot of energy. When troubles occur usually the basin must be emptied for reparation of the scrape. If the sedimentation basin is not so big, the bottom is formed as a cone and the sediment sludge slides down to the bottom of the cone wherefrom the sludge is pumped. This type of basin is difficult and expensive to build. The ROBOT 90 Sludge Removal System consists of a suction nozzle on an articulated pipe arm, which extends from a vertical stand fixed in a suitable place of the sedimentation basin. The nozzle and the pipe are connected to an external pump and the sludge is sucked up from the basin’s bottom to an external container for further treatment, such as thickening or dewatering. 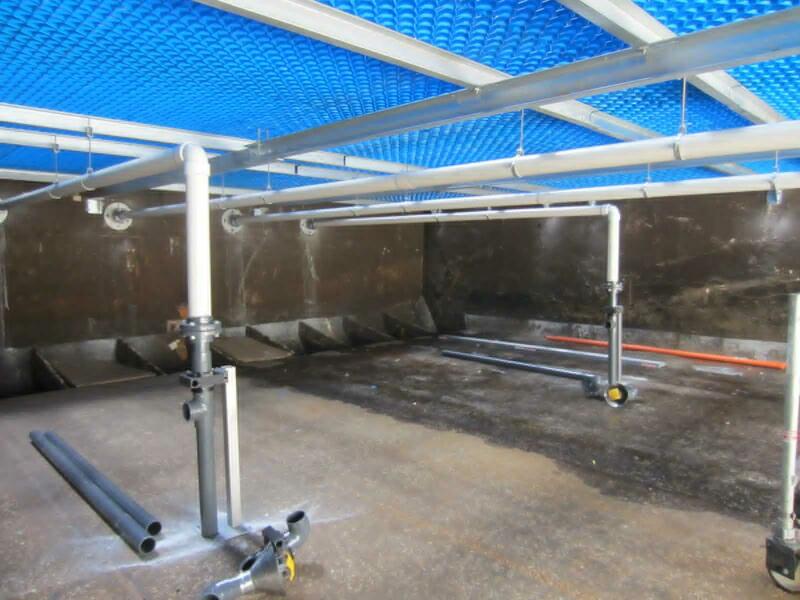 The system is designed to operate completely immersed in water while the sedimentation basin is in use. The settling process is not disturbed by the gentle action of ROBOT 90 and the sludge is not stirred up. 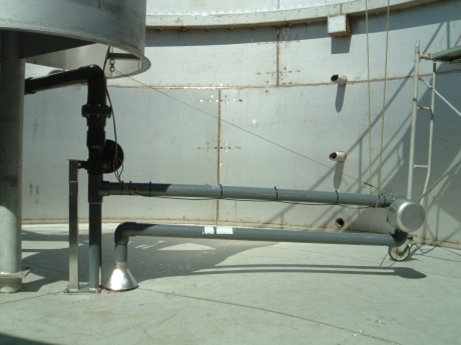 ROBOT 90 performs equally well in round, rectangular or irregularly shaped tanks. If there is an obstacle e.g. a pole arms go around it. 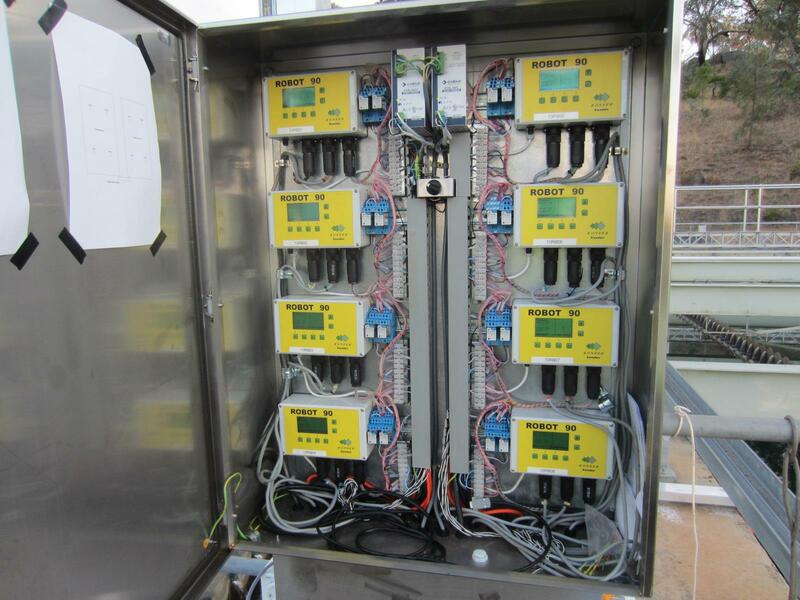 A programmable control unit controls the movement of the arms. The nozzle sweeps over the bottom of the basin and stops at a number of programmed points for a certain time to pump out the sludge. The sweep pattern can be programmed to work around obstacles, protruding pipes etc. ROBOT 90 can remove sludge from behind obstacles or around corners. The number of pause points, the duration of each stop and the time between each sweep can be programmed. The installation of ROBOT 90 is very simple. The vertical post is anchored to the bottom of the basin with four bolts. Other fixing methods are possible, e.g. similarly to how submersible pumps are mounted. The arm length is up to 6 m and covers basins up to 8,5×8,5 m. For bigger basins, two or three units can be installed in series or one ROBOT 90 can be moved between different parts of the basin. The flexibility makes ROBOT 90 well suited for collection of any kind of sludge, organic and inorganic. 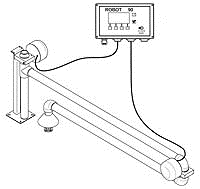 ROBOT 90 can be applied in water works, wastewater plants, fish farms and industries (paper-mills, breweries, sugar-mills, paint industries etc.). Wherever sludge is sediment ROBOT 90 can be used.